Continuing with a small series using antique tintypes found in flea markets and around, here is a set derived from one photo of 2 unknown men who seem to be son and father. 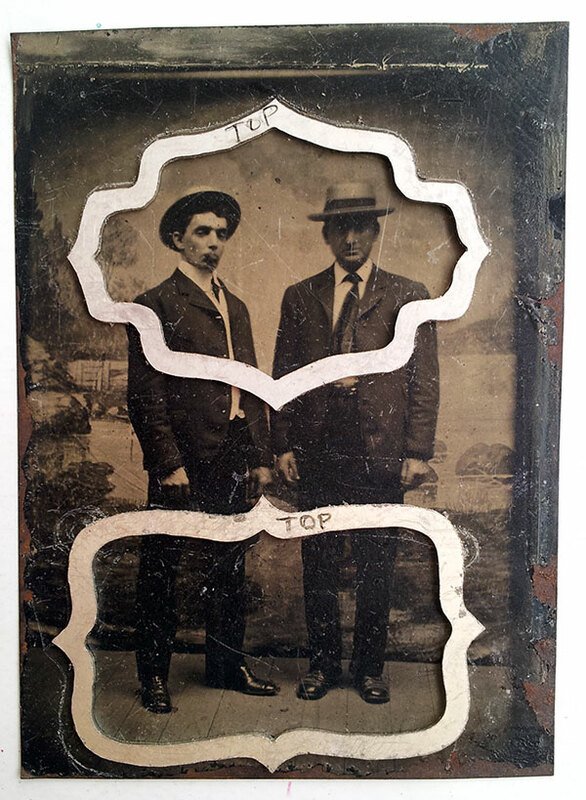 The top frame was made into a pendant, “Figlio e Padre” with connecting lines scratched into the surface of the photographic emulsion. I wanted both pieces to have a small graphic intervention, a record of my mark-making. 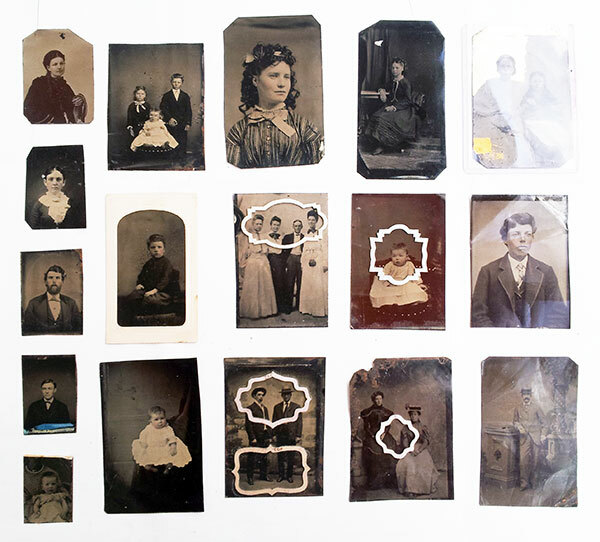 I’m conscious of the probability that historic photography conservators won’t approve, but my goal is to transform damaged, forgotten, and in some sense discarded, anonymous images into “precious” and intimate jewelry pieces with stories to tell. The two pieces could potentially be worn together in a position which visually completes the original photograph. 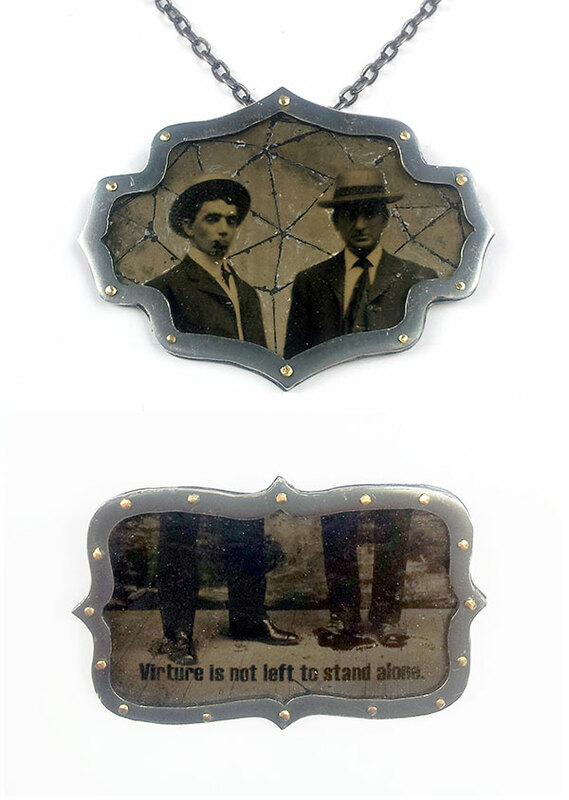 They are both made from sterling silver (with liver of sulfur patina), 18k gold rivets, and antique tintypes photos.